Letter from H. K. Porter & Co.
Letter from H. K. Porter & Co., Builders of Light Locomotives, to George Pullman, asking for a reference for Bessrs. C. E. Loss & Co. before they commit to doing business with them. Title Letter from H. K. Porter & Co. 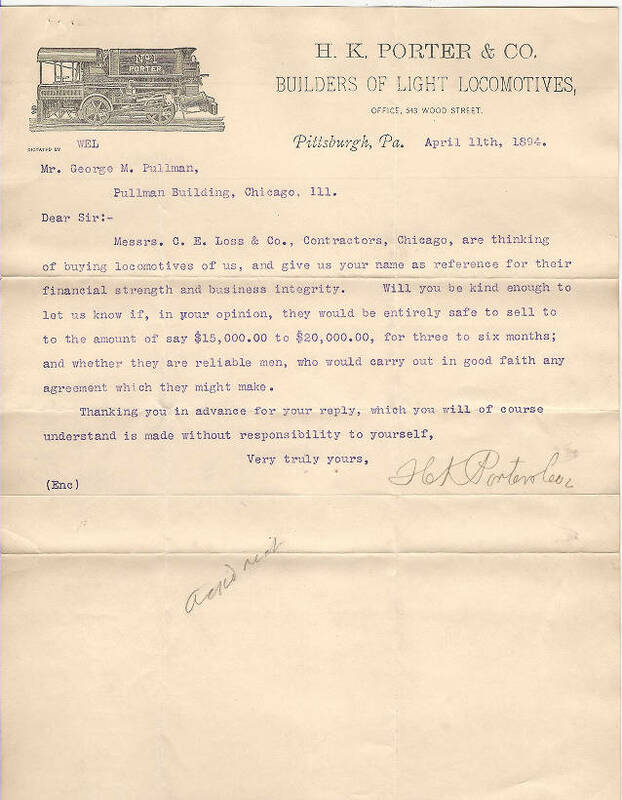 Description Letter from H. K. Porter & Co., Builders of Light Locomotives, to George Pullman, asking for a reference for Bessrs. C. E. Loss & Co. before they commit to doing business with them.